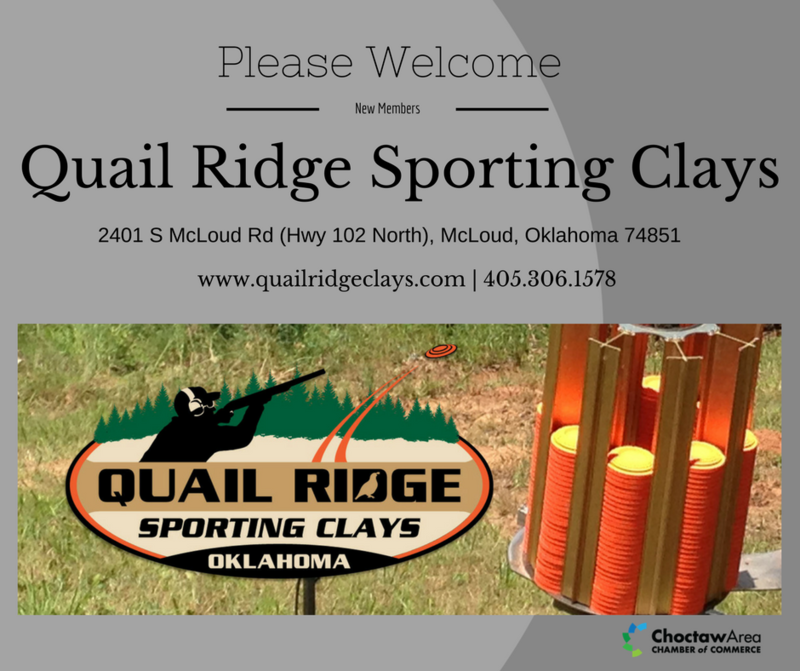 Please join us as we welcome new members Quail Ridge Sporting Clays. If you haven’t been out to their range, then you are missing out! Check them out on Facebook here! 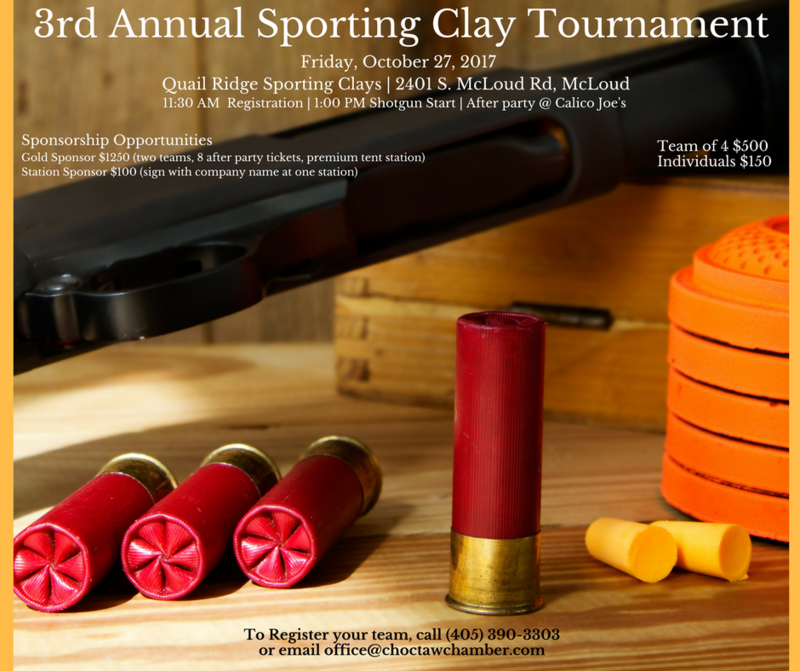 Join us for our 3rd Annual Sporting Clay Tournament on Oct. 27 at Quail Ridge Sporting Clays in McLoud. This is one of our most favorite events of the year. You don’t want to miss out. Get your registration form here. You can also download the liability waiver here.